St. Joseph’s High School to wear PIPS Hope and Support logo - Thank You from everyone at PIPS. 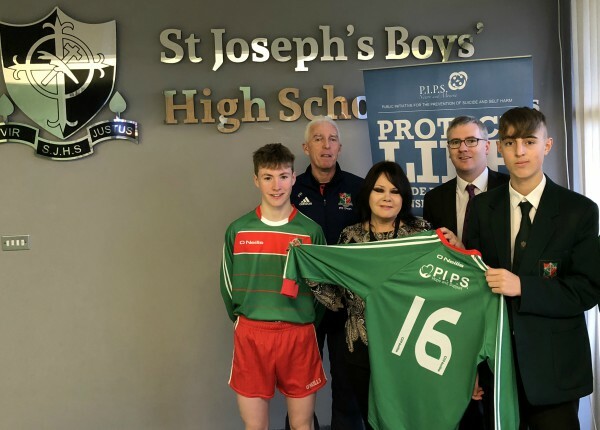 St. Joseph’s Boys’ High School, Newry soccer jerseys will bear the logo of PIPS Hope and Support. Mr. F.Rodgers, PE Teacher said this was with the aim "to help maintain the awareness of the charity close to a lot of our staff and students’ hearts".